Laser cutting is an established industrial process for fine tolerance cutting of metals, to produce accurate detailed shapes with smooth edges, generally in thin sections. SPI’s lasers may be used to cut a variety of metals including mild steel, copper, aluminium and brass. Modulation of the laser power can be used to improve the control heat input and cut quality. Laser cutting is an established industrial process for fine tolerance cutting of metals, to produce accurate detailed shapes with smooth edges, generally in thin sections. 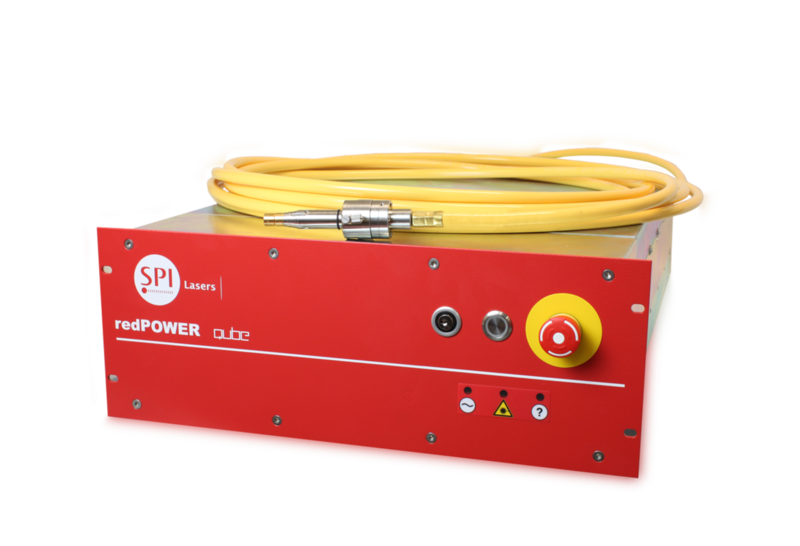 SPI’s lasers may be used to cut a variety of metals including mild steel, copper, aluminium and brass. Modulation of the laser power can be used to improve the control heat input and cut quality. 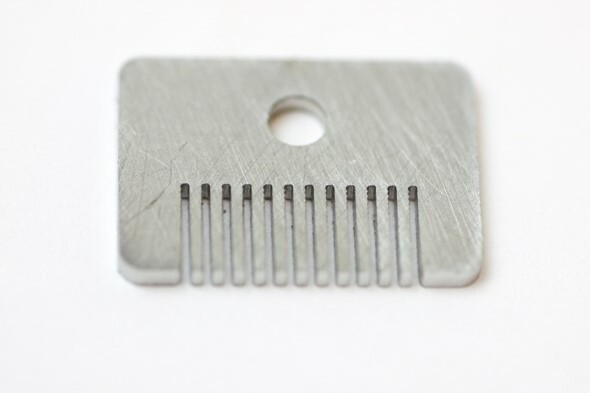 Fine tolerance cutting has been used here to produce combs in 1mm stainless steel. This process required Nitrogen gas-assistance for dross-free cutting. For this process pulse modulation is used to reduce overall heat input, with an average power of 150W, and 500W peak power. Due to the complex shape, the cut speed is slow to achieve cut quality and fine features. With the comb shape it was possible to get dross trapped in the tangs, therefore a defocused beam was required to enlarge the kerf. By making the spot larger, allowing the gas through to provide a clean cut, it ensured more material was removed from the sample. The cut length was 320mm, which took 15 seconds. In the picture you can see the excellent results. The redPOWER QUBE lasers are ideally suited to this type of processing as it allows easy and precise control of the laser output power through the FiberView control software, to achieve great results such as these. The Single Mode variant is the most effective laser for fine tolerance cutting as it has a very intense beam that promotes effective cutting of fine features.